If you are looking for tips on how to maintain your WordPress website, then this blog post offers you a complete solution to all your website maintenance problems. This guide consists of 51+ effective tips that will help you to optimize your WordPress website for both search engines as well as users. 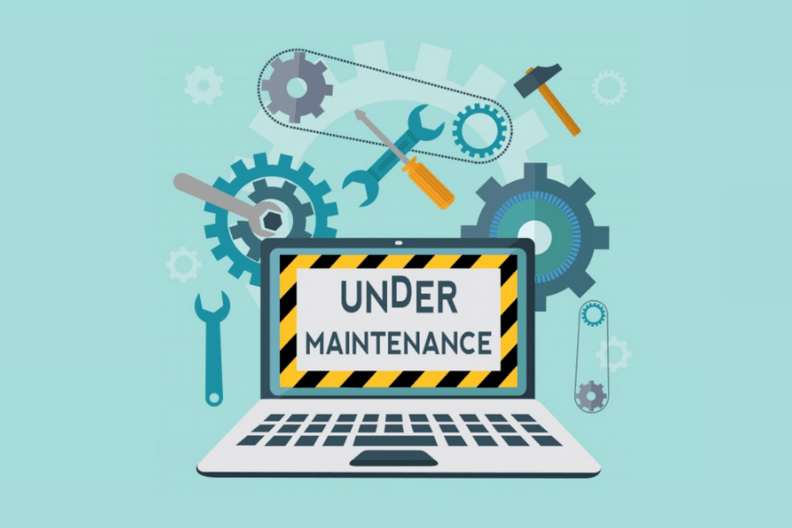 However, before we look at the complete list, let’s first take a look at some of the must-do WordPress website maintenance tasks that you can’t overlook. A simple fact, if your site’s speed and download time are sluggish, then it is going to tremendously affect your site’s traffic, as visitors would get frustrated and leave. Having a faster page speed and download time is essential if you want to avoid high bounce rate and thus, this is one factor in the website maintenance task that you need to check on a regular basis. Further, there are ample of tools out there such as Pingdom tool and GTmetrix, that will help you to not only find loading issues but also give you suggestions on how you can fix these errors. Free up some time in your busy life, by handing over your website worries to us! Quick and efficient WordPress support and maintenance, with WPCruiseControl, now at your order! Be it malware, viruses or hack attempts, if you have a website then you need to be prepared for these common security threats. Having a secure online presence is a must if you want to retain your customers and maintain your brand’s credibility and thus, monitoring your website’s security is another essential task that should rank on the top of your must-do website maintenance checklist. Broken links can affect not only your site’s ranking but it can also lead to a higher bounce rate. Having dead links or broken links on your site is a clear indication of a poorly maintained website and as such, finding & fixing 404 errors on your website is crucial in order to maintain your site’s ranking on SERPs. SEO is an important element for the success of an online business. By monitoring on-page SEO factors you are ensuring that your website is optimal at all time, which, in turn, will result in better ranking on search engine, higher organic traffic, increase CTRs leading to improve conversion rate. Taking daily backups of your entire WordPress site and database files is another task that you should do religiously. Having a backup will help you to restore your website back in running order in no time, in the event of hacking or server crash. Plus, with WordPress, taking regular backups becomes easy thanks to the robust plugins like BackUpWordPress that takes automatic backups of your entire site. To avoid downtime on your website, which could invariably affect your ROI, it is important that you monitor your web hosting statistics like bandwidth, website uptime, SSL monitoring, disk space, malware check, etc. Keeping your site’s content up-to-date is the key through which you can retain your customers for a longer period of time. Also, Google loves fresh content and as such, for frequent search engine indexing and to improve user experience, it is important that you keep your site’s content fresh and relevant. Checking on your site’s navigation and testing its compatibility across various browsers and mobile devices is another website maintenance factor that you shouldn’t overlook. A smooth and hassle-free user experience can help to decrease bounce rate and will help you to improve your site’s ranking as well as traffic. Now, for a complete list of the WordPress website maintenance tips, take a look at the infographic below and implement these best practices on your site right away to improve its functionality and performance!